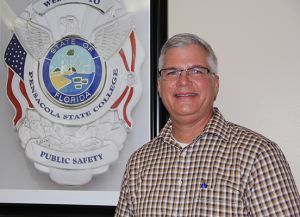 As Pensacola State College Director of Public Safety and Police Chief, Sean Fagan has a lot of responsibilities – however, the longtime law enforcement officer is up for the task. In May, Fagan, the department’s former assistant director of public safety, replaced retired police chief Hank Shirah. 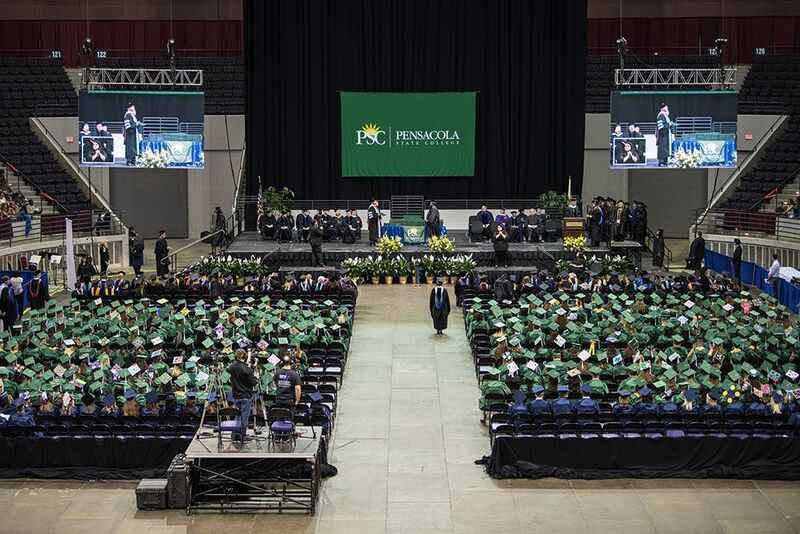 In his new role, he oversees a staff of 10 sworn officers and 15 public safety officers at Pensacola State’s three campuses and three centers. “I’m excited beyond imagination. My Christian faith tells me God has a greater purpose for me and I’m fulfilling that purpose,” said Fagan, who has more than 27 years law enforcement experience under his belt. In 1987, Fagan’s career began with the Pasco County Sheriff’s Office where he was a deputy and crime scene investigator. He remained with Pasco County for 11 years before moving back home to Milton in 1998 and joining the Santa Rosa County Sheriff’s Office as the supervisor of the crime scene unit. In 2002, he left Santa Rosa County for the University of West Florida Police Department and retired from there in 2013. “I really thought I was done, my career in law enforcement over, but God had other plans,” remembered Fagan who ran into Shirah while working security at the Escambia County Courthouse. Fagan said he has found a home at the college. Fagan said as director of public safety and police chief one of his main goals is to build relationships and professional partnerships outside of the college. “For one, I want the community to know that we are here. And secondly, I want to build partnerships with outside law enforcement agencies – the Escambia County Sheriff Office, Pensacola Police Department, Santa Rosa Sheriff’s and others,” he said, explaining he wants PSC officers to have access to updated training facilities. Fagan and his wife, Kim, will celebrate their 30th anniversary this fall. The couple has two children, Sean, 26, a Florida State University graduate, who lives in Orlando, and a daughter, Ally, 21, a student on the PSC Milton campus.